The new arena for the Golden State Warriors is scheduled to open in time for the 2019-2020 NBA season and will be the first of its kind to be debuted in San Francisco. The Chase Center will have a capacity of 18,000 seats and anchor a district of 11 acres housing restaurants, cafes, offices, public plazas, and a new five-and-a-half acre public waterfront park. Economic consultants have estimated that the overall project will bring in more than $700 million in annual economic activity. The Chase Center will be the first arena ever built on private land that will also be privately financed. Construction has begun on the Kentucky Derby Museum, which will cost a total of $6.5 million. The museum announced in November that they were adding more than 11,000 square feet to the existing facility and are renovating 5,000 square feet of its original structure. The museum sits next to Churchill Downs and opened in April 1985. In 2010, the museum underwent a $5.5 million renovation project after a flood destroyed the main and lower level floors. Questions still remain unanswered after the deadly collapse of the pedestrian bridge at Miami's Florida International University (FIU) on March 14. Six people were killed, and nine more were injured when the bridge suddenly fell onto the street below around 1:45pm. However, the reason why the 950-ton structure fell onto a heavily-traveled street on the edge of the campus may not be determined for some time. The bridge was constructed to link FIU's new dorms with off-campus housing. A third-party construction contractor lost control of his pick-up truck and slid into a sinkhole being used by construction crews at the Top of the Rock. The man involved in the accident was reportedly not wearing a seatbelt and his injuries were listed as “serious.” He was transported to a Springfield, Missouri hospital. It took emergency crews about an hour to initially extract the man from the sinkhole. After years of talk, a project to improve I-35W in downtown Minneapolis is finally underway. The biggest challenge of constructing the 2.5-mile, $239 million project is the impact it will have on local traffic . The project is taking place in an urban core of the city, a stretch from I-35W at I-84 to 43rd Street south of downtown, and will require full paving, the replacement of 11 bridges, the construction of 17 new bridges and the rehabilitation of four others. These are just a few topics we have been discussing over the past week. 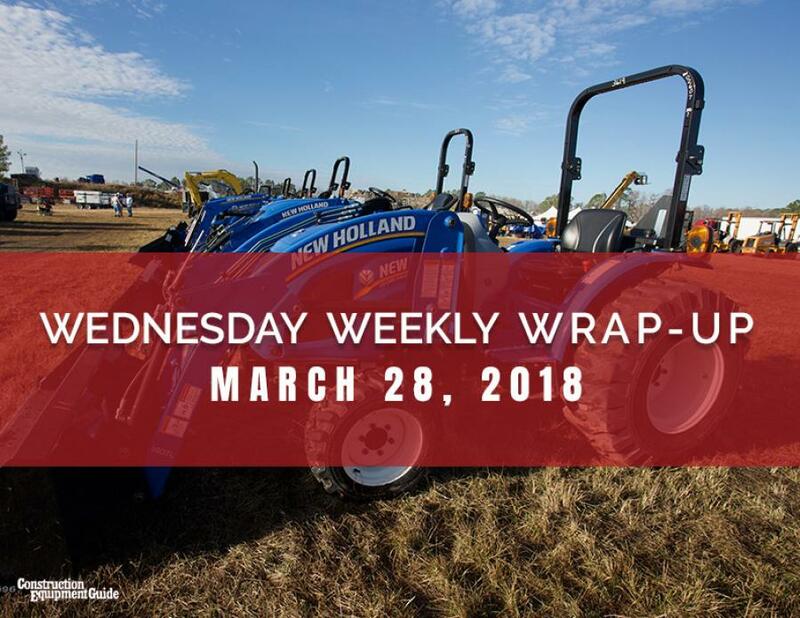 For more news and industry updates, check out Construction Equipment Guide's Industry News Page and our Industry Blog Page.